The Union Cabinet today gave its nod to repeal 105 old laws. 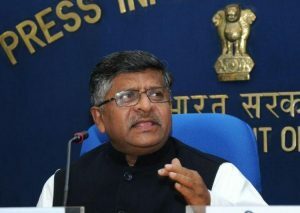 Law Minister Ravishankar Prasad said in New Delhi that Cabinet approved introduction of the Repealing and Amending Bill, 2017 to repeal these old laws in Parliament. The two Member Committee constituted by the PMO, the Law Commission of India and the Legislative Department identified 1,824 redundant and obsolete Central Acts for repeal. After careful examination and consultation with various Ministries and Departments, four Acts have been enacted to repeal 1,175 Central Acts during the period May, 2014 to August, 2016 by Parliament. A list of remaining 422 Central Acts was circulated among all the Ministries and Departments for their comments. Till date, 73 Ministries and Departments including Legislative Department have sent their comments whereby they have agreed to repeal 105 Acts and disagreed to repeal about 139 Acts. On the basis of the comments and concurrence received from the Ministries and Departments, 105 Acts have been identified for repeal by this Department. Minister of state for External Affairs MJ Akbar today called upon the Banks and Financial Institutions to work together for the development of the poorest of the poor especially in rural areas. He said the digital revolution that is sweeping the country at present will help eliminating poverty and corruption. 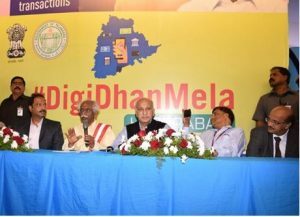 He was addressing media in Hyderabad this morning after formally inaugurating the DigiDhanMela. He said the measures taken for encouraging digital economy have brought in the biggest ever revolution in the country so far. Mr Akbar said the digital payments are important for improving livelihood of common people especially in rural areas. He said the technology revolution is changing and improving the quality of life of the poor. He further said the importance of the PM’s Jan Dhan Yojana has become more evident post-demonetization. He also criticized the opposition parties mainly Congress party for opposing the demonetization and said the party is against change and it is in favour of corruption. Speaking on the occasion Labour Minister Dattatreya said nearly 5.5 lakh people at Gram Panchayat level and 1.29 lakh entrepreneurs have been trained in digital transactions so far. He said 380 workshops were organized in this connection. He further said the Employees Provident Fund Organistaion has opened over 50 lakh new accounts post-demonetisation across the country. The Labour Minister also appreciated the efforts that the Telangana state government is making to enhance digital transactions and make Siddipet a cashless musicality. People from various walks of life especially farmers thronged the DigiDhanMela held at Necklace Road in Hyderabad this morning. Various public sector banks and government organizations have set up nearly 200 stalls in which all types of questions about digital payments are being answered. People ranging from employees, students, housewives and even passersby are showing enthusiasm to know about available ways and means for digital payments. Farmers from districts like Mahabubnagar and Nizamabad are also visiting the Mela in groups and seeking information about online payments for their regular purchases like seeds and fertilizers. Many of them have been seen asking information about using their normal phone for digital payments. The DigiDhanMela has provided a single platform to seek information about all banking services. This including opening a fresh bank account to on-line banking, mobile banking, digital payments, payments through apps. The Mela brought all banking services together under one roof to spread awareness about digital banking services among people. Cabinet also approved 10,000-crore rupees incentive for electronic manufacturing by March 2018. IT Minister Ravishankar Prasad said, it will help moving towards the goal of ‘Net Zero imports’in electronics by 2020. Mr Prasad said, under Modified Special Incentive Scheme, investors in electronics manufacturing can apply till March 2018. He said, the scheme has boosted electronics manufacturing in India in last two years. The incentives will be available for investments made within 5 years from the date of approval of the project. Approvals will normally be accorded to eligible applications within 120 days of submission of the complete application. A unit receiving incentives under the scheme, will provide an undertaking to remain in commercial production for a period of at least 3 years. The Minister informed that 42 new mobile phone manufacturing units have come in India in last 2 years and investments have increased to 1.26 lakh Crore rupees. Cabinet approved MoU on cooperation on Youth matters between India and Russia. Exchange programmes in the field of Youth Affairs between the two countries will help in promoting exchange of ideas, values and culture amongst Youth through establishment of people-to-people contacts and in consolidating friendly relations between the two countries. The selections for participation in exchange programmes shall be done in an objective and transparent manner and the outcomes of the programmes under the MoU shall be open for public scrutiny. Exchange programmes will help in developing international perspective among the Youth and expanding their knowledge and expertise in the areas of Youth Affairs. Cabinet has approved setting up of an off-campus of Indian Agriculture Research Institute in Jharkhand. 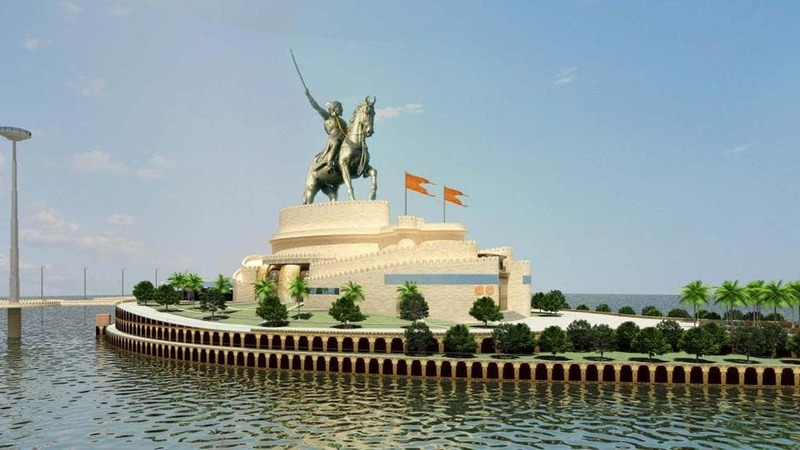 It will have an estimated outlay of 200.78 crore rupees. The Institute will work on the agrarian challenges and complexities of eastern India with all existing Central and State Government Research and Development institutions and Private sector enterprises. It will undertake research, education, extension programmes in its mission towards developing quality human resource, generation of farmer friendly technologies to enhance productivity, quality and profitability. It will also promote agro-based industries and generate employment opportunities for holistic and sustainable development of the agriculture sector in the eastern region. lARI-Jharkhand would be a unique Institution, which would possess all the hallmark identities as that of IARI at New Delhi including all sectors of agriculture like field crops, horticultural crops, agro-forestry, poultry, piggery and honey production. Textiles Minister Smriti Irani today inaugurated the 58th India International Garment Fair – IIGF at Pragati Maidan in New Delhi. On the occassion Mrs Irani said the three-day fair provides a platform to overseas garment buyers to source products and forge business relationships with Indian players in the apparel and fashion accessories domain. She said the fair will gave great benefit to the Indian emerging export players. More than 130 participants from 14 states are participating in the fair and nearly one thousand byers are coming on first day. AEPC Chairman Ashok G Rajani said the objective of IIGF is to showcase the latest trends in garment and fashion accessories, and to leverage brand India across the globe. Our correspondent reports the fair caters primarily to Autumn-Winter styles and the sellers are showcasing womens wear, accessories, kidswear and menswear. In Meghalaya, Mawlynnong village has become a role model for other states in maintaining cleanliness. Termed as Asia’s cleanest village, Mawlynnong has become tourists’hotspot. The Secretary of the village committee said, all 90 families of the village constructed toilets in 1989. Under Swachh Bharat Mission, three public toilets have been constructed in the village. Over 500 tourists from across the country and abroad visit the village daily, which is located 80 kilometers away from capital Shillong. 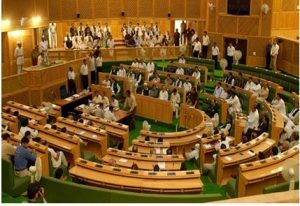 The Jammu and Kashmir Legislative Assembly today passed a resolution on the return and rehabilitation of Kashmiri Pandits and other migrants back to Kashmir valley. As soon as the house met this morning, leader of opposition Omar Abdullah raised the issue. The motion was later endorsed and moved by the speaker of the house Kavinder Gupta. The house passed the resolution unanimously and various members rendered their full support to the motion saying that with the improvement in situation government should facilitate the return and rehabilitation of Kashmir migrants who have to shun their places due to militancy. However the Independent legislator from Langate Er.Rashid opposed the move and dubbed it worthless and impractical. 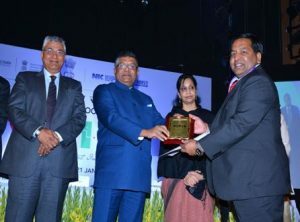 Over three lakh 80 thousand consumers and twenty one thousand merchants have won prize money worth around 61 crore rupees at 24 Digi-Dhan Melas across the country. This was disclosed by the Information Technology Minister Ravi Shankar Prasad in New Delhi yesterday. He said, government’s efforts to give a boost to the digital payment systems and cashless economy have evoked good response from the people. Mr Prasad said, people from different age groups, occupations and walks of life have taken part in a big way in the Lucky Grahak Yojana and Digi-Dhan Vyapar Yojana giving a fillip to digital transactions. The schemes were launched on 25th of December last year and shall remain open till 14th of April this year. The schemes are aimed at incentivising the consumers and the merchants to promote digital payments. 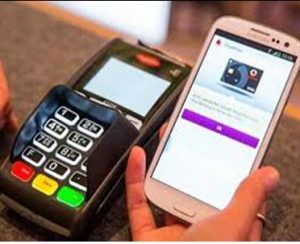 He said, the common service centres under the department of Electronics and IT has trained 1.94 crore citizens and 5.93 lakh merchants for carrying out transactions through digital payment systems. Information Technology Minister Ravi Shankar Prasad has asked National Informatics Centre to bridge technology divide in the country. Addressing a National Meet on Grassroot Informatics in New Delhi today, Mr Prasad said, India is emerging as a manufacturing hub for technology. He said, Digital delivery of service is a priority for the government. The Minister said, it will benefit the poor and underprivileged. He said digital payment is a new opportunity and NIC should add new features to it. The three day meet is aimed at showcasing the various initiatives of National Informatics Centre in creating and enhancing the Digital Infrastructure in the country. Nearly 400 officers from all over the country are participating in the event. They will share their experience in the implementation of the e-governance programme at their State and district. Gadkari said, it is very much possible to create a Davos-like city in India, which is rich in all kinds of assets. Gadkari, who is attending several sessions at WEF and is also holding bilateral meetings with corporates and other leaders from across the world, said a city like Davos in India would give a big boost to tourism, development, jobs and overall economy, while the number of people travelling to holy places in that region will also increase manifold and also increase the faith in our own culture. 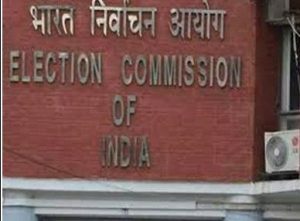 The Election Commission has asked NITI Aayog not to hold special gram sabha in panchayats on this year’s Republic Day in poll bound, UP, Uttarakhand, Punjab, Manipur and Goa. The poll panel said, special meetings of panchayats can be organised in the poll bound states only after the assembly elections are over. The commission observed that the Aayog should have taken its approval before writing to all Collectors, DMs, and DCs of the country regarding holding special gram sabha to outline priorities of citizens in every panchayat. It said, it came to know from CEO Goa that the Aayog is organising such meetings in every pachayat. The largest warship of the Indian Navy, INS Vikramditya, will be equipped with its own dedicated ATM. It will cater to over two thousand naval personnel deployed on the aircraft carrier. India’s largest public sector bank State Bank of India is providing the Navy the services for the ATM which will be on the satellite link. A currency chest will also be provided to keep running the ATM. The much needed facility is expected to ease out cash problems of a large floating population of the warship as they run out of money during long period of deployment of the carrier. The Corps Commander Conference of all the three armed forces organized in Indian Military Academy Dehradun is underway presently. Prime Minister Narender Modi arrived in Dehradun today morning to address this day-long annual conference. Defence Minister Manohar Parrikar, Chief of Army Staff General Bipin Rawat, Chief of Air Staff Air Chief Marshal Birender Singh Dhanoa, Chief of Naval Staff Admiral Sunil Lamba and National Security Advisor Ajit Doval besides other senior officials are also participating in the conference. AIR Correspondent reports the conference is quite significant in wake of the present security scenario in South Asia. The Election Commission has instructed Defence Ministry not to divulge any details of this conference to media in wake of ensuing assembly elections in the state. Prime Minister Narendra Modi has greeted people of Manipur, Tripura and Meghalaya on their statehood day. In a series of tweets, Mr Modi hoped that Manipur will remain blessed with joy and prosperity. India and the UAE held yesterday their first strategic dialogue during which they finalised the Strategic Cooperation Agreement aimed at expanding bilateral cooperation to new key areas including energy, defence and security that will be signed during the visit of Crown Prince of Abu Dhabi Sheikh Mohamed bin Zayed Al Nahyan next week. During the dialogue, co-chaired by Minister of State for Foreign Affairs M J Akbar and his UAE counterpart Anwar Gargash, the two sides agreed on a number of new initiatives to further strengthen the bilateral cooperation and on signing of fresh instruments of cooperation. 2016, MEA in a release said the two sides were represented by strong delegations drawn from a number of relevant ministries and departments. This is the second visit of the Crown Prince to India who travelled to India in February 2016. He will be accompanied by a high-level delegation, including ministers, senior officials and captains of industry. 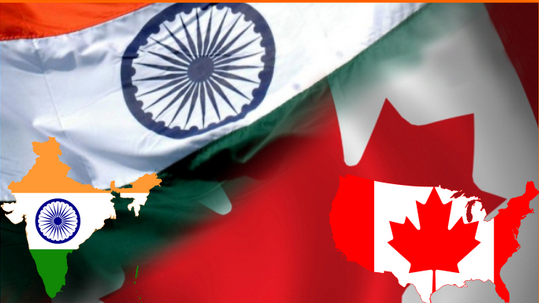 During the visit, the two sides will also explore ways to strengthen trade ties. The two countries have been among each other’s top trading partners with a well-balanced bilateral trade of about 50 billion dollars in 2015-16. After falling in the previous fortnight, banks deposits again jumped by 0.64 per cent in the fortnight to January 6, according to the Reserve Bank data. Banks deposits increased to Rs 10,584,171 crore in the fortnight to January 6 from Rs 10,516,237 crore collected during the fortnight ended December 23, the RBI said today. Deposits collected in the fortnight to December 23 had declined by 0.7 per cent compared to Rs 10,591,313 crore accrued during the fortnight ended December 9. This was the first time that deposits have fallen since the government announced to demonetise old Rs 500 and Rs 1,000 notes on November 8. Retailers have sought for early implementation of the Goods and Services Tax regime which they believe will be a game-changer for country’s retail sector. Industry body Retailers Association of India has asked for early implementation of the GST, which will be a game changer for the Indian retail sector which is pegged to grow to USD 1.3 trillion by 2020, its CEO Kumar Rajagopalan said. “We are waiting for the details of early GST rollout, which, we hear is now in July. This can be a big game changer for retailers across the country,” Rajagopalan told PTI. Lloyd’s will open a reinsurance branch in India, in time for the April major reinsurance renewals. This will enable Lloyd’s syndicates to offer specialist reinsurance in a variety of classes from a Lloyd’s India branch in Mumbai. Baba Ramdev and Patanjali have come to the rescue of debt ridden Ruchi Soya. Sources say Patanjali will start branding and marketing the edible oil produced by Ruchi Soya across its 13 facilities, which will ensure guaranteed sales to Ruchi Soya as well as cut its distribution and marketing costs. Ruchi Soya declined to give a comment to ET Now. The company’s stock today was locked in an upper circuit, and was also the top gainer in the Nifty500 index. Sources say this arrangement comes as a massive relief to one of the country’s largest edible oil manufacturers with brands like Ruchi Gold and Mahakosh. Ruchi Soya owes almost Rs 10,000 cr to banks, is contesting winding up proceedings initiated by IDFC Bank in Bmbay Hight Court, and is yet to secure all 22 lenders approval to enter a joint venture with Adani Wilmar. Alibaba Mobile Business Group firm UCWeb plans to invest Rs 200 crore in India and Indonesia over the next two years to push distribution of user generated content through its UC News platform. “We will invest Rs 200 crore over the period of 2 years in India and Indonesia to push user generated content like blogs, short videos, non conventional news feeds. Around 60 per cent of it (Rs 120 crore) will be invested in India,” Kenny Ye, General Manager, Overseas Business for Alibaba Mobile Business Group told PTI. He said that the earmarked investment does not include hiring and other business expenditure but will focus only on content generation and distribution. The government’s Regional connectivity scheme to increase total number of operational airports in the country to 118 airports, says aviation minister Jayant Sinha. “Based on the first phase of bidding for airports, the UDAN scheme is going to be a game changer, as it will increase the total number of operational airport in the country to 118 from 75 now,” said minister of state of civil aviation Jayant Sinha. Sinha said that they received bids for 11 bidders for 43 new airports and offering services to 190 UDAN routes. The Income Tax Department has written to the RBI informing it about alleged illegal malpractices being deployed by a number of cooperative banks after its probe found “serious” difference in accounts, to the tune of multi-crore rupees, in the aftermath of the notes ban. In an analysis report prepared by the department, also accessed by PTI, two specific instances in Mumbai and Pune have been reported where it was found that over Rs 113 crore “excess amount” of old demonetised not ..
“In the Pune bank case, the reported amount (to the RBI) was Rs 242 crore while physical stock was of Rs 141 crore, showing clearly that the cooperative bank had reported to the RBI excess Specified Bank Notes (old currency) as on December 23, 2016 to the tune of Rs 101.07 crore. In the case of a similar bank in Mumbai, the excess amount of such notes was Rs 11.89 crore,” it said. DHFL, one of India’s leading housing finance company in the private sector, is expecting a steady growth in its loan book size in Kerala in the next three years. The company is expecting over 25% surge in home loan disbursement in Kerala with the implementation of the “Housing for All by 2022” and Smart City projects. DHFL also expects Kochi market to witness growth of 30% surge in its loan book disbursements. DHFL has registered a growth rate of about 20% in loan disbursement in the Kerala during the nine month period of 2016-17 in comparison to the corresponding period of the last financial year. South market contributes 22% to the DHFL’s home loan book. 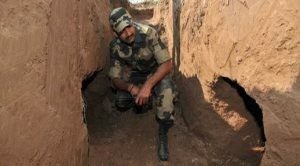 On November 30, 2016, a day after the Samba attack, the Border Security Force (BSF) said it had discovered a cross-border tunnel, which it believed terrorists used to infiltrate. In July 2012, four years before the Pathankot attacks, the army had discovered a 20-ft deep tunnel with a complete ventilation and breathing system 340 meters inside India from the International Border (IB) in Samba sector, only 58-km from the Pathankot air base. In fact, between 2001 and 2016, India has discovered at least eight tunnels originating from across the border along Pakistan, at an average of one every two years. And, only one of these is suspected to have been dug for drug running, while the others are linked to possible or successful infiltrations. With increasing infiltrations and multiple attacks including on armed forces’ bases such as Pathankot and Uri, the Centre is looking to expedite its hunt for two key technologies— tunnel detection and gunshot detection systems— that it hopes will help prevent such activity. The Indian Army (IA) has invited responses from overseas manufacturers on the service’s planned acquisition of assorted software-defined radios (SDRs) to boost its overall network-centric warfare (NCW) capabilities. Two separate requests for information (RFIs) were issued by the IA in early January asking companies to submit data by 17 February about available designs for handheld and man-pack SDRs as well as for those that can be mounted on trucks, armoured fighting vehicles (AFVs), and helicopters. 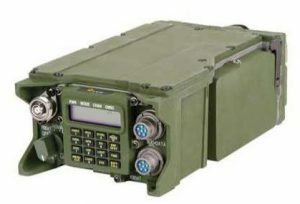 The SDRs are required to provide secure and jamming-resistant networked voice, data, and video communication in ground-to-ground and ground-to-air roles. The helicopter-mounted SDR is also expected to enable air-to-air along with air-to-ground communication. India has recently purchased weapons and ammunition worth $3 billion (over Rs 20,000 crore) on an emergency footing. According to a report in Huffington Post, India has been on a secretive weapons shopping spree in recent times, buying up anti-tank missiles, tank engines, rocket launchers and various kinds of ammunition, from Israel and Russia. The report quotes its top military sources as saying that the situation across the border and the aggressive manoeuvring by the Pakistan military after the surgical strikes in Pakistan-occupied Kashmir (PoK) by the Indian Special Forces necessitated these emergency purchases. “The emergency purchases are aimed at replenishing and maintaining a minimum level of preparedness for any eventuality,” a senior Ministry of Defence (MoD) official told Huffington Post. Quoting its sources, the report said that the purchases amount to more than $3 billion and deliveries have begun even as new orders are still being placed. The nuclear capability of U.S. Air Force B-52 bombers was demonstrated recently with the launch of three unarmed AGM-86B cruise missiles. 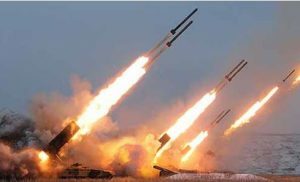 The Air-Launched Cruise Missile, or ALCM, is designed to deliver a nuclear payload and is a key air component of the nation’s nuclear triad. In the recent test over the Utah Test and Training Range, a B-52H Stratofortress bomber dropped three ALCNs in three separate sorties, demonstrating the USAF bombing forces’ ability to configure, load, fly and deliver the weapon. “It [the ACLM] provides a clear, visible and tailorable deterrent effect, and denies geographic sanctuaries to potential adversaries,” the Air Force said. A B-52H can carry six ALCMs on each of its two externally-mounted pylons and eight internally on a rotary launcher. The ALCM was initially designed with a 10-year life span but has been in use for about 35 years because of successful sustainment programs. A Long Range Stand Off weapon is being developed to replace it and will be fielded by 2030. “The LRSO will be a critical element of the United States’ nuclear deterrence strategy, but we must continue to support the ALCM program until it is fielded and these recent tests are clear indicators of the ALCM’s effectiveness and reliability,” said Maj. Gen. Scott Jansson, commander and Air Force program executive officer for Strategic Systems, which is part of the Air Force Global Strike Command’s Nuclear Weapon System Evaluation Program. A B-52H Stratofortress over the Utah Test and Training Range releases an unarmed AGM-86B Air-Launched Cruise Missile, or ALCM, during a previous Nuclear Weapons System Evaluation Program sortie on Sept. 22, 2014. Recent sorties underscored the cruise-missile capability of the B-52H and the ALCM’s sustainability. U.S. Air Force file photo/Staff Sgt. Roidan Carlson. 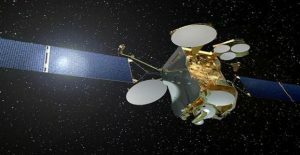 The government of France has contracted Airbus Defense and Space to supply satellite communication systems supporting civilian and military uses. The four-year contract was awarded by UGAP, France’s public procurement agency. The agreement tasks Airbus with providing Satcom technologies in the Ku and Ka frequencies. Eric Souleres, who leads the company’s operations in the company, welcomed the agency’s decision. “As a pioneer in satellite communication services for governments, we are pleased to make our expertise available to the French administration,” Souleres said in a press release. Roughly 40 French government departments use Airbus’ fixed or mobile Satcom stations, including the Interior Ministry’s General Directorate for Civil Security and several emergency services. The technology allows users to transfer voice and data communications during natural disasters, terrorist attacks, and other emergency events. Military users include French allies such as Britain, Germany, Canada, NATO, and the United States. BrahMos Aerospace is working to develop hypersonic reusable missiles, The Tribune quoted Sudhir Kumar Mishra, Chief Executive Officer (CEO) of BrahMos as saying on Jan. 19. The boomerang missile would have a capacity to deliver the warhead, assess the destruction of target, come back and get ready to go again at a speed of more than Mach 10. Mishra called the project highly challenging, but Indian scientists are capable of doing the job, he said. 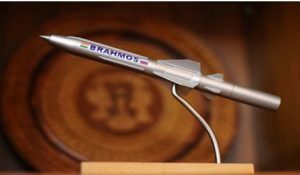 BrahMos Aerospace, which is co-owned by the Indian and Russian governments, manufactures the supersonic cruise missile that is named after the Brahmaputra and the Moskva rivers. In late 2016, the governments of India and Russia agreed to extend the range of the BrahMos supersonic cruise missile, doubling it to 600 kilometres. The boomerang missile will be able to travel at a speed of more than Mach 10. Indian Space Research Organisation (ISRO) has successfully maneuvered the orbit planes of Mars orbiter Mission (MOM) or Mangalyaan to enhance the capacity of battery. The direction of orbit plane of Mars orbiter was changed to cut the eclipse duration as it was not getting sun lights during eclipse. MOM still has 30 kilograms of energy, which will provide service for many more years. In September 2014, India had created a space history by becoming first nation in the world to successfully launch interplanetary mission to Mars in maiden attempt. ISRO was the fourth first Asian and fourth space agency in the world to reach Mars orbit after the Roscosmos of Russia, NASA and European Space Agency. 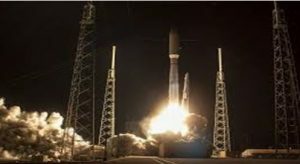 The US military has successfully launched Geo-3 satellite mounted with Atlas V rocket into space to monitor possible missile attacks from space. The military satellite capitalizes on infrared technology for defence purposes that include missile counter-defense, missile warning, intelligence gathering, and geospatial situational awareness to support troops. Earlier the US Air Force had launched Geo-1 and Geo-2 satellites into space in 2011 and 2013, respectively. India became an Associate member of CERN on Monday with the Indian government completing its internal approval procedures in respect of the agreement it had signed with CERN on November 21, 2016. On November 21, 2016, Sekhar Basu, Chairman of the Atomic Energy Commission and Secretary of the Department of Atomic Energy (DAE) and Fabiola Gianotti CERN Director General signed an Agreement to admit India to CERN as an Associate member. 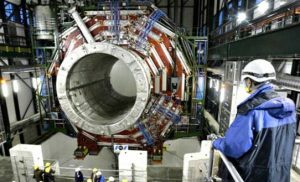 But India had to “notify CERN of its final approval for the Agreement to enter into force” and become an Associate member. President-elect Trump has promised to destroy Daesh. 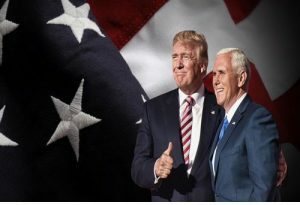 If Trump wants to avoid being the third Administration in succession to sink into the morass of the Middle East, it is essential to first ask what declaring victory would look like. Part of the West’s challenge is rooted in that Daesh is a brand inside a religion and not just a terroristic military movement. It is a brand defining radical Islamic rejection of Western values and of the Western way of life. It is very difficult to defeat a brand, but it is possible. How do you marginalize Daesh? How do you reduce its shelf life? You define victory as marginalization. How do you get there? First, you must marginalize Daesh in the world of ideas. They are a brutal force which asserts that only they have the right to rule in the Middle East and beyond. We can call them extremists, but that is not enough. We need to engage in the battle of ideas as well. For Daesh Western secularism and tolerance are the enemy, not Jews or Christians, Shiites or Sunni; it is about power dominance via exploiting ideological purity and mobilization of the “faithful” to achieve the purity of rule desired by the Daesh leadership and followers. In many ways, President-elect Trump is America’s first Information Warrior president. Turning those skills into a crucial tool shaping IW against Daesh and exposing them for what they are is a crucial challenge, which requires focused attention and funding. Part of the reason for the defeat of the Soviet Union was Radio Free Europe and its key role in fighting against the imperial Communist regime. Nato estimates for 2016 show that only five alliance members – the US, UK, Greece, Poland and Estonia – will spend a minimum of 2% of national output (GDP) on defence, which is the target. Germany’s defence spending of €37bn in 2017 will be 1.2% of GDP. US President-elect Donald Trump says Nato allies are over-reliant on the US. He has questioned whether the US should defend any alliance partner, under Article 5, if so many of the 28 Nato members are not paying their way. He also criticised Nato as “obsolete”. Nato Secretary-General Jens Stoltenberg has long urged alliance members to meet the 2% target. Announcing the 2017 spending target, German Defence Minister Ursula von der Leyen said “we’re moving in the right direction, but we can’t do it in one year”. Defence spending also rose in 2016. The cancellation comes after Austria’s parliament unanimously adopted a non-binding motion that imposed an arms embargo against Turkey in November 2016. As a result conditions were placed on the transfer of technology to Turkey. Austria made the move in response to Turkey’s increasing violation of human rights since the failed military coup attempt in July 2016. Tümosan has been tasked by the Turkish Undersecretariat for Defence Industries (SSM) with developing a local engine for the Altay MBT. The company brought in Austrian firm AVL List in 2015 to provide technology transfer and support in the development and integration of engines into the Altay tank. Due to the imposition of conditions on technology transfer, Tümosan cancelled the contract with AVL List on 17 January. “Due to the adoption by the Austrian government [of measures] to insist on export licences that include conditions that interfere in Turkey’s domestic politics … the contract as recorded and revenue guarantee given by the company will be cancelled,” Tümosan stated in a document published on Turkey’s Public Disclosure Platform (KAP) on 17 January. “It has been understood that there will be serious hurdles that (the company) will face in the transfer of technologies concerning critical sub-components because of sanctions being imposed against Turkey recently in particular by the European Union countries,” it added. Russian and Turkish aircraft carried out their first co-ordinated air strikes in northwest Syria on 18 January, Russia announced, as part of intensifying attacks on Islamic State forces defending the town of Al-Bab. A senior Russian general described the air strikes as “joint” but in a statement the Turkish Armed Forces said they were carried out under a 12 January agreement between the two countries to “co-ordinate” air operations over Syria. According to Lieutenant General Sergei Rudskoy, Chief of the Main Operational Directorate of the Russian General Staff, approximately 36 targets were hit around the town by aircraft from both countries’ air forces. Indian Navy’s only operational aircraft carrier, INS Vikramaditya will soon to have an ATM on-board. Country’s largest Public Sector Bank State Bank of India to launch ATM facility on-board this warship on Saturday. INS Vikramaditya will be the first ever warship to have such facility. ATM would be operating through satellite link. According to Capt DK Sharma, Spokesperson of the Indian Navy, INS Vikramaditya is based in Karwar (Karnataka), where town is quiet far from the jetty. Topography of the area is so that the sailors colony, jetty and town are on three different axis. Every time Navy personnel deployed on-board Vikramaditya had to travel at least 4-5 Km for accessing ATM facilities in the small satellite town of Karwar. Therefore the need was felt that an ATM should be opened on-board warship to save time and resources. Indian Navy approached India’s largest bank SBI to provide ATM facility on-board country’s biggest ship and they agreed. Ahead of Abu Dhabi Crown Prince Sheikh Mohamed bin Zayed Al Nahyan’s arrival here as chief guest for this year’s Republic Day celebrations, India and the UAE held their first strategic dialogue on Friday keeping with the decision to elevate the bilateral relationship to Comprehensive Strategic Partnership. “Pursuant to the decision to elevate their relations to a Comprehensive Strategic Partnership during the exchange of the visits at the highest level between India and United Arab Emirates (UAE) in August 2015 and February 2016, the two sides held the first meeting of strategic dialogue between the two foreign offices on January 20 in New Delhi,” the External Affairs Ministry said in a statement. It said that in the meeting, which was co-chaired Minister of State for External Affairs M.J. Akbar and his UAE counterpart Anwar Mahammed Gargash, “the two sides were represented by strong delegations drawn from a number of relevant ministries and departments”. Ellen DeGeneres made history at the show by becoming the most decorated People’s Choice Awards winner ever. The Finding Dory star swept three big categories, including Favorite Daytime TV Host, Favorite Animated Movie Voice, and Favorite Comedic Collaboration, bringing her lifetime PCA total to a whopping 20 awards. Her win was accompanied by a number of other triumphant moments throughout the night. In TV, last year’s Favorite Actress In a New TV Series winner, Priyanka Chopra, upended vets like Ellen Pompeo, Kerry Washington, Taraji P. Henson, and Viola Davis, to win Favorite Dramatic TV Actress. While Chopra broke into the Dramatic Actress category, The Big Bang Theory continued its reign as Favorite Network TV Comedy — taking home the coveted award for the fifth consecutive year. Meanwhile, Shades of Blue star and all-around triple threat Jennifer Lopez proved she really can do it all by winning her first major TV award: the PCA for Favorite TV Crime Drama Actress. Movie stars were also out in full force at the PCAs, with the likes of Robert Downey Jr., Kevin Hart, Melissa McCarthy, Dwayne Johnson and more taking the stage to accept awards. Sully star Tom Hanks was also in the house, winning Favorite Dramatic Movie Actor. While Justin Timberlake won Favorite Male Artist and Favorite Song, the biggest music story of the night undoubtedly belonged to Fifth Harmony. The now-foursome capped off a showstopping performance of their single “Work From Home” by winning Favorite Group. LendIt, the world’s largest show in lending and Fintech, today announced finalists for its first annual LendIt Industry Awards. Out of hundreds of applicants worldwide, the selected finalists are all vying for top honors within 18 categories, which celebrate Fintech market leaders, emerging innovators, and top talent. Finalists were chosen based on innovation, emerging talent and top performers. Finalists in 18 Leading Fintech Categories To Be Recognized at World’s Largest Show in Lending and Fintech on March 7 in New York City. International Commercial Bank Lao Limited provides banking and related financial services in the Lao People’s Democratic Republic. It offers various deposit products, including current, savings, education fund savings, and senior citizen savings accounts; and fixed deposits, fixed deposits with advanced interest, demand deposits, and term deposits. The company also provides loans, such as vehicle/auto express loans, housing/shoplot/mortgage loans, and educational loan schemes; and other services comprising bills discounting and bank guarantees. In addition, it offers international banking services, such as inward and outward remittances, import/export collections, documentary letters of credit, and foreign currency operations. The company provides its products and services through head office and two branches located in Vientiane; and one branch located in Pakse. The company is headquartered in Vientiane, the Lao People’s Democratic Republic. 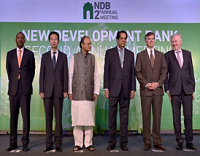 International Commercial Bank Lao Limited is as a subsidiary of Asia Investment and Financial Services Co., Ltd. The National Aeronautics and Space Administration (NASA) has approved a mission to explore 16 Psyche, an iron-rich asteroid. As part of the mission, NASA craft will be launched in 2023, and will arrive at Psyche in 2030. The mineral contents on the asteroids are worth over 100-thousand times the value of the entire world economy. Key Facts Psyche asteroid has diameter in excess of 125 miles and is almost entirely composed of iron and nickel. Scientists believe Psyche to be a protoplanet i.e. its entire body consisting of what one day could be the core of a new planet. The spacecraft will be running tests on 16 Psyche to learn more about the history and composition of the celestial body. The information gathered will undoubtedly useful to astronomers to learn more about the formation and early life of planets. 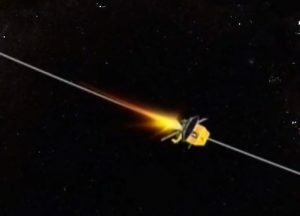 The study of Psyche may also reveal more information about the centre of our planet, which cannot be studied directly due to the virtual impossibility of sending a probe deep underground. Astronomers also believe Psyche to contain water, making it a possible candidate for a stellar fuel station, as water can be used to sustain life and synthesize rocket fuel. Scientists have discovered a group of microbes, named after Marvel characters Thor, Odin and Heimdall, that may explain how complex cellular life on the Earth emerged from simpler microbial ancestors billions of years ago. Life on our planet can be divided into three major groups. 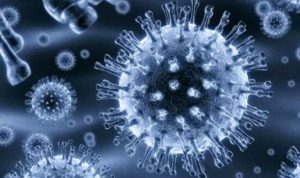 Two of these groups are represented by tiny microbes, the Bacteria and the Archaea. The third group of organisms comprises all visible life, such as humans, animals and fungi – known as eukaryotes. While the cells of bacteria and archaea are small and simple, eukaryotes are made up of large and complex cells. The origin of these complex cell types has long been a mystery to the scientific community, but now researchers led by Uppsala University in Sweden have identified a group of microorganisms that provides a unique insight into the evolutionary transition from simple to complex cells. Scientists have developed a customizable soft robot that fits around a heart and helps it beat, an advancement that paves the way for new treatment options for people suffering from heart failure. The soft robotic sleeve twists and compresses in sync with a beating heart, augmenting cardiovascular functions weakened by heart failure. Unlike currently available devices that assist heart function, the soft robotic sleeve developed at Harvard University in the US does not directly contact blood. This reduces the risk of clotting and eliminates the need for a patient to take potentially dangerous blood thinner medications. The device may one day be able to bridge a patient to transplant or to aid in cardiac rehabilitation and recovery. The Linton-Stockton Chamber of Commerce announced its Business of the Year and Citizen of the Year, during its annual Dinner and Awards banquet Thursday evening at the Elks Lodge in Linton. The award for Citizen of the Year was presented to Mark and Joann Stacey from the Linton Farmer’s Market. The criteria for Citizen of the Year includes doing good deeds that have made an extraordinary impact on the community. Knotts described the couple as energetic, active outdoorsy people who worked for years to make the market a reality. 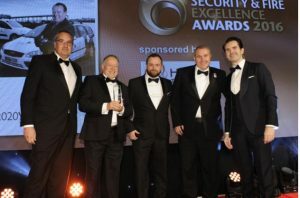 The North Shields business has been named Security Installer of the Year (small to medium) at the Security and Fire Excellence Awards. Chris Parry, Country Manager UK & Ireland at Hanwha Techwin Europe with Peter Houlis, Pete Collins and Graeme Lloyd of 2020 Vision as they receive an award from comedian Jimmy Carr. China on Friday held a ceremony to honor the two astronauts of the Shenzhou-11 spaceflight mission for their outstanding contributions to the country’s space endeavors. 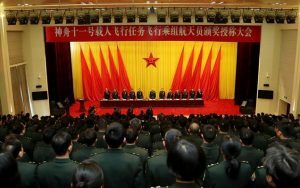 Xu Qiliang, vice chairman of the Central Military Commission, called for learning from the astronauts’ devotion to the motherland and their courage to overcome hardships. Launched on Oct. 17 last year, Shenzhou-11 docked two days later with China’s space lab Tiangong-2, where the two astronauts lived for 30 days, the longest time Chinese astronauts spent in space. The Shenzhou-11 mission is part of China’s ambitious plan to build a permanent manned space station. The Accenture Digital Media Awards 2017 (DMA’s) will be taking place at the Clayton Hotel, Burlington Road on 17th February. The finalists were announced yesterday. 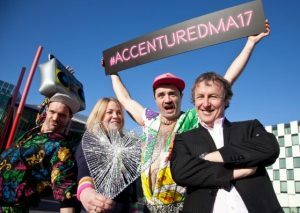 The Accenture Digital Media Awards provide an opportunity for Irish businesses to showcase their digital expertise in the media marketing world. The DMA’s will witness over 90 individual companies and agencies go head to head to win the coveted DMA trophy. An award that recognises the growing expertise within the Digital sector in Ireland and abroad. Broadbottom and Hattersley have both been honoured in the annual Cheshire’s Best Kept Station awards. Teaming up with local councillors, Hyde and Stalybridge MP Jonathan Reynolds and the Civic Mayor of Tameside Cllr Philip Fitzpatrick travelled to both stations to present Friends groups at the rail stops with their accolades. Cheshire is the only county in England that has a Best Kept Station award to honour the communities and Friends Groups that care for their stations, where mystery shoppers go round all of the stations in Cheshire to choose the award winners. Mr Reynolds said: “Well done to the staff and customers who take pride in their stations, as well as the great volunteers of the Friends of Broadbottom Station and Friends of Hattersley Station. “The work the friends have done here is magnificent and it is fantastic that people are so willing to make them nice urban spaces, to make a contribution to them, getting the artwork, flowers and hanging baskets up. The Mayor of Tameside had initially been presented with the two prizes on behalf of the borough at the Cheshire Best Kept Stations Awards held at the Grange Theatre, Hartford, last week. It’s no secret that there’s soaring demand in the job market for science, technology and math skills. As more organizations install technology to move faster, the need for these skills is seeping into all corners of U.S. companies. But there are regions where technical knowledge generates more opportunities and particularly handsome rewards. WalletHub, a personal finance and credit score website, released data on the best and worst metro areas for professions in STEM (science, technology, engineering and math). It used 17 metrics to rank each region, such as the number of job openings for STEM graduates, the share of a region’s workforce employed in STEM positions and the quality of local engineering educational programs. WalletHub used a wide range of data sources for the analysis, including the Bureau of Labor Statistics, the National Science Foundation and U.S. News & World Report’s education rankings. Full methodology details are available here. To view the top 10 metro areas for science, technology, engineering and math jobs, open the gallery below. For the bottom 10, see the end of this post. Juan Echeverria and Shi Zhou discovered the botnet while conducting research on automated accounts. Drawing from a random sample of one percent of Twitter users, and filtering for just English-speaking accounts, they noticed something odd in the distribution of geo-tagged tweets. While most of the tweets came from urban areas in North America and Europe — as expected — a puzzling number seemed to come from uninhabited areas such as the middle of the ocean or the desert. Diving deeper, they found that almost all of these unexpected tweets quoted Star Wars novels, and were active for a very short period in June and July of 2013. They also had very few friends and followers and were all listed as coming from a Windows phone. New Mexico is suing Japanese manufacturer Takata and a long list of automakers in connection with the sale of cars with dangerous air bag inflators. Attorney Hector Balderas’ office filed the lawsuit Friday afternoon in state district court, saying the manufacturers had a duty to ensure their products were safe and that concealment of air bag defects amounted to unfair and deceptive trade practices under New Mexico law. A Takata spokesman declined to comment on the litigation. The attorney general’s office argues in a lawsuit being filed Friday that the manufacturers had a duty to ensure their products were safe and that concealment of air bag defects amounted to unfair, deceptive and unconscionable trade practices under New Mexico law. Except for the presence of the white van that brought the group, the scene was reminiscent of the red planet — the dome set in a barren, rock-strewn and reddish landscape with distant hills giving the feel of a wind-swept and forbidding environment. They will have no physical contact with people in the outside world and will work with a 20-minute delay in communications with their support crew — the time it would take for an email to reach Earth from Mars. – Young couples out to dinner pull out their smartphones to check messages, e-mails and social networks even before scanning the menu, and check their phones repeatedly throughout the meal. – Shoppers and commuters standing in line, people crossing busy streets, even cyclists and drivers whose eyes are on their phones instead of their surroundings. Trust Priyanka Chopra to always come back with a vengeance. After she had us all worried with her on-set injury last week, Priyanka was seen in action once again at the People’s Choice Awards 2017. And she not only won the red carpet — obviously, she won her second People’s Choice Award for Quantico as well. The actor defeated her ABC counterparts Ellen Pompeo, Kerry Washington, Taraji P. Henson, and Viola Davis to win in Favourite Dramatic TV Actress award. Speaking about her injury on Quantico’s sets, the actor told media, “I was a little nervous… I didn’t know if I would make it, but I got so bored sitting on my couch for three days. ” While shooting in New York on January 12, she slipped and fell, hitting her head.